According to Spotify, Auburn students would rather listen to the Lord than the Lorde. Auburn University is No. 2 (you know, alphabetically) in a study (of sorts) released Tuesday by online music listening service Spotify of the Top 40 Musical Universities in America. 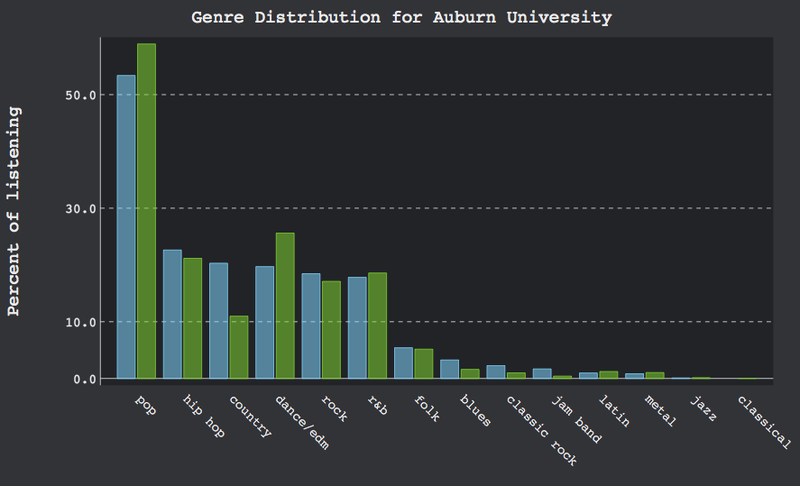 And what does Auburn University listen to (on Spotify)? You can check out the full Top 40 list here. Related: Auburn professor ranked 4th hottest in the country. “Sports Broadcasts” should be a tabulated genre.